يشكل فندق فولكان بموقعه الممتاز في المدينة نقطة انطلاق جيدة لاستكشاف أفضل ما فيها من معالم ومناطق نابضة بالحياة. إن موقع الفندق الاستراتيجي، الذي يبعد 1.5 Km فقط عن مركز المدينة، يسمح للنزلاء بالوصول سريعاً وبسهولة إلى العديد من الوجهات المحلية المثيرة. يقع هذا الفندق الحديث على مسافة قريبة من المعالم السياحية الشهيرة. استمتع بالخدمات الراقية والضيافة التي لا مثيل لها بهذا الفندق في هذه المدينة رائعة الجمال. تتضمن الميزات الرئيسية في هذا الفندق: واي فاي مجاني في جميع الغرف, خدمة التنظيف يوميًا, مدفأة, مرافق مخصصة لذوي الاحتياجات الخاصة, تخزين الأمتعة. بالإضافة لهذا، تتضمن كل غرف الضيوف مجموعة واسعة من وسائل الراحة . بعض الغرف توفر حتى مناشف, تلفزيون بشاشة مسطحة, بياضات, اتصال لاسلكي بشبكة الإنترنت (مجاني), سياسة التدخين - غرف لغير المدخنين متاحة لإرضاء أكثر الضيوف تطلبًا. كما أن مجموعة الخدمات الواسعة الموجودة في الفندق لضمان راحتك تترك لك الكثير من الخيارات لقضاء وقتك أثناء فترة إقامتك. مهما كانت أسبابك لزيارة المدينة، فإن فندق فولكان هو الخيار الأفضل لإقامة مثيرة وممتعة. يرجى العلم أن مكتب الاستقبال لا يعمل على مدار 24 ساعة، ولكن يتاح تسجيل الوصول على مدار 24 ساعة. Thank you for your review. I hope we can welcome you back to the Vulcan Hotel Sydney in the future. My stay at the Vulcan was too short! I had an impeccable experience from the service at reception, he was extremely helpful and was so generous to upgrade my room as I needed to study during the night so he put me where I would be more comfortable. The room was perfect and clean. I have to go back and stay again as this place has left a great impression on me. I had a wonderful sleep too. The staff were so lovely, friendly, welcoming and accomodating! The room was so clean completely spotless! Location it's about a 10minute easy safe walk from the city centre, great for being amongst it but being in a bit quieter area. As a solo female traveller I felt completely safe and comfortable. 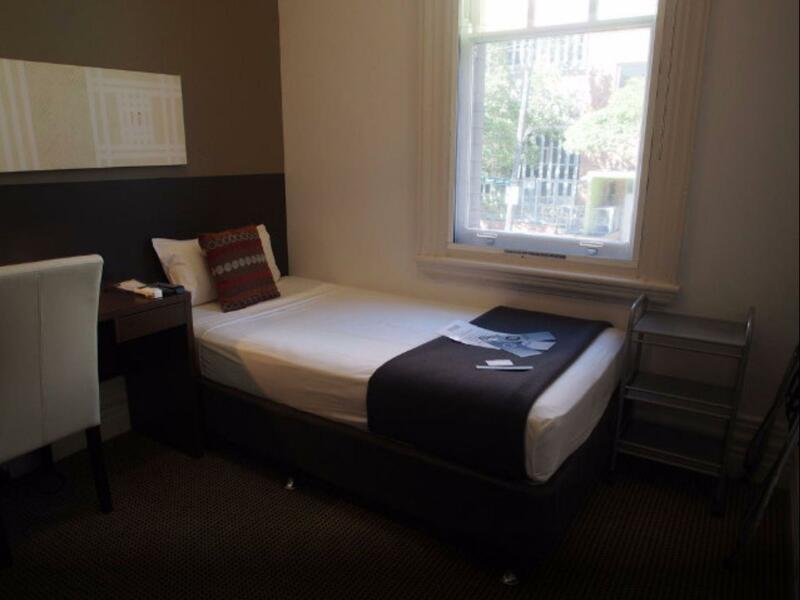 Such great value for money, will definitely be staying here next time I'm in Sydney! Thank you for your review. We look forward to welcoming you back to the Vulcan Hotel Sydney in the future. My second time staying at the hotel for business. 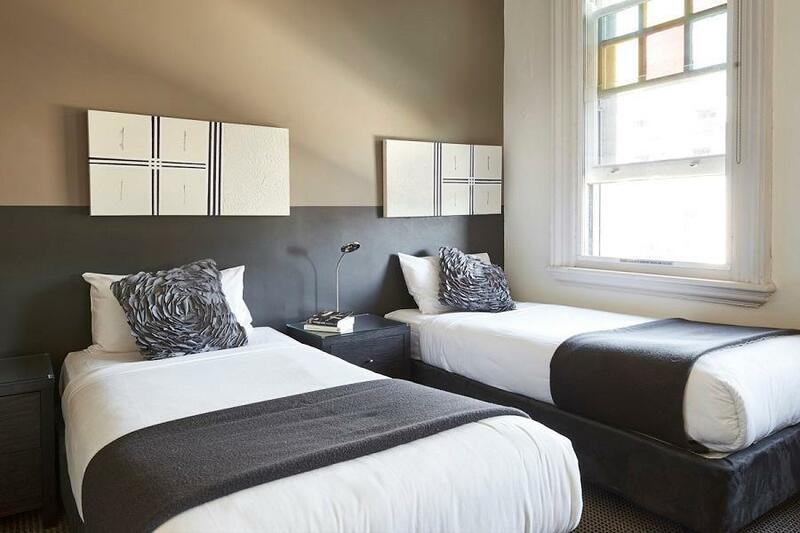 The location is very near to where I was going so I am quite happy with this, the hotel itself have a nice and clean rooms and the staffs were helpful in any ways with hassle-free check in and out. Would love to stay here again the next time! Delightful hotel. 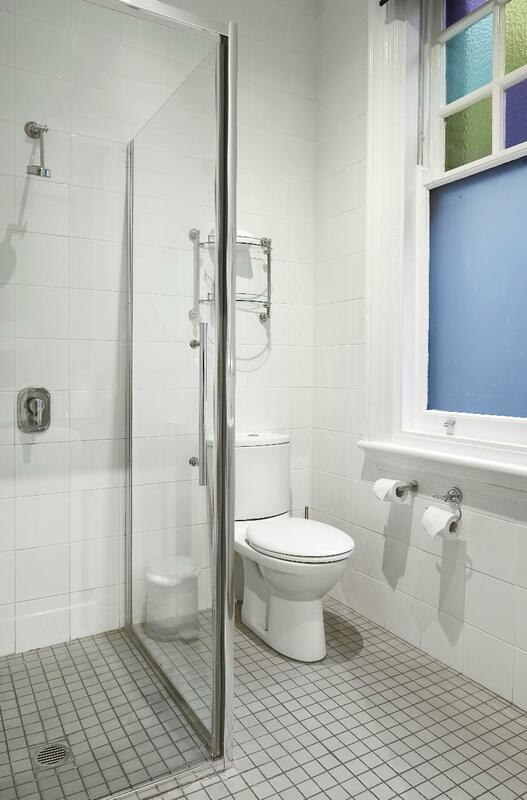 Short walk to public transport, Broadway, Glebe Point Road. Very clean and would stay again. The only downside was that the shower screen door opened inwards and did not allow much room to get out (what were the tradesman thinking?) Otherwise, a great little hotel. Room smallish especially the bathroom, but acceptable. Bed firm, good night sleep can be had. Hotel location good, and price much less than others in the area- very acceptable tradeoffs of price for different service and amenity levels. They supply the core of what a hotel needs to do for guests. Also property is aesthetically pleasing. Internet should be included rather than the $10 surcharge for the stay. I also do not like the common Australia practice of charging 1.5% more for visa/mastercard above the presented price. The people working there were helpful and friendly. The place is neat and pleasant. the rooms were nice and comfortable for a short stay. services provided were rather efficient and helpful. the only setback was the wireless, i had trouble connecting to it. the connection keeps dropping. 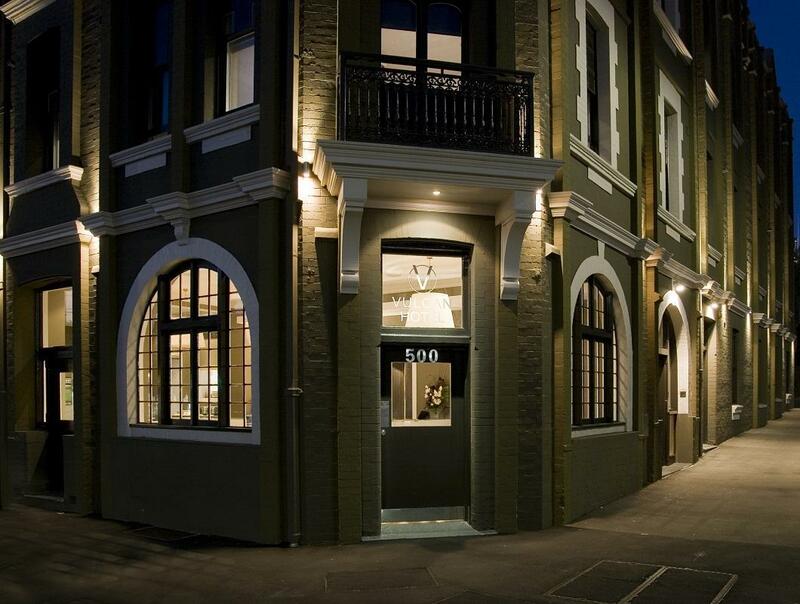 This is a clean, modern little hotel in walking diatnce to Chinatown, Darling Harbour, powerhouse Museum and Broadway! Rooms are a little small but manageable. 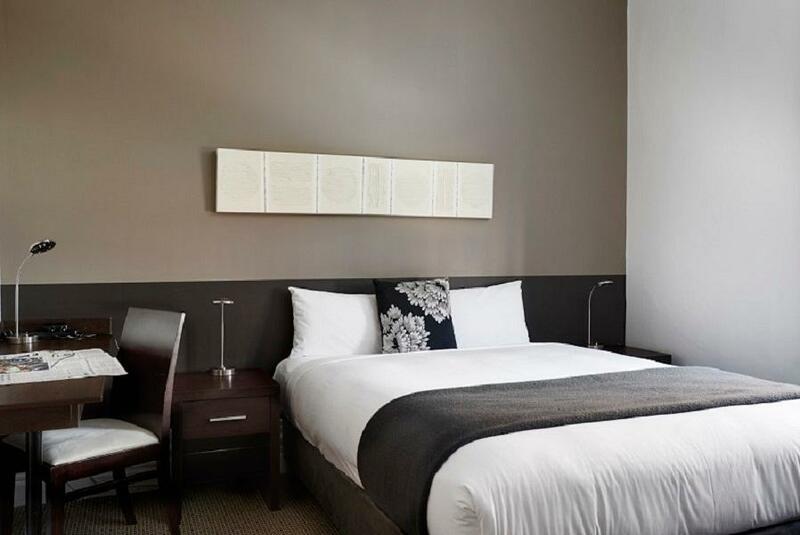 This is an ideal hotel for those wanting to see the sites of Sydney's central area or do some city shopping. It is clean, modern and has cheap WIFI. It is reasonably priced and a lush breakfast is avalable in thier city cafe. Its a short walk to Chinatown and Broadway shopping centre, as well as the Casino and Fish Market. Sure beats those city hotels in price and is as close! Recommend. Just a bit about the facilities. The air conditioning is a bit noisy. Maybe it is quite old. Thank you for your review. We will have a look at the air conditioning and ensure they are working correctly. Thank you for your review. I hope we can welcome you back to the Vulcan Hotel Sydney in the future. 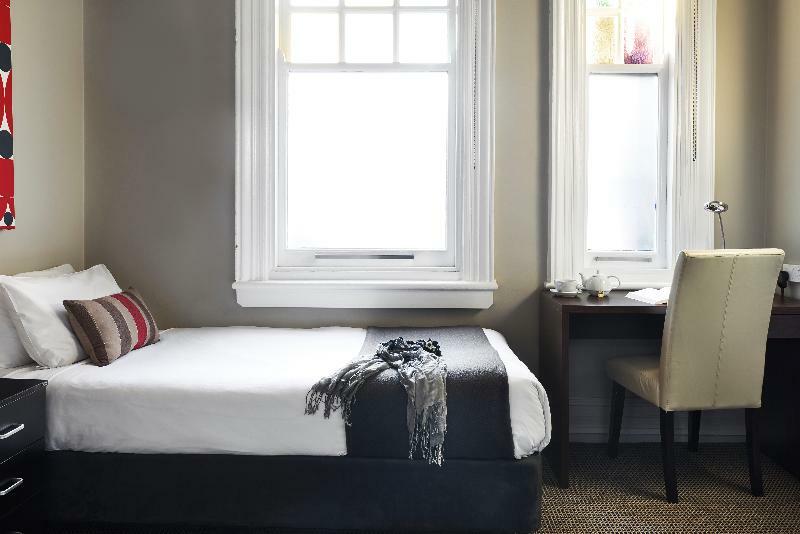 We do have some rooms with balconies for your next stay. It is a renewed heritage hotel. It takes about 15 minutes walk to paddy market. The staff so far are quite helpful. Thank you for your review. I hope we can welcome you back to the Vulcan Hotel Sydney in the future. 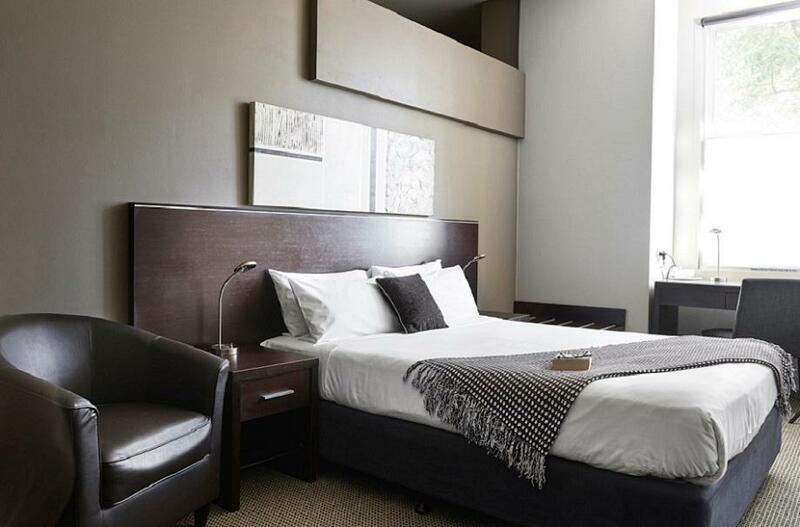 You might like to try one of our larger superior or deluxe rooms. The Vulcan hotel exceeded my expectations. Comfortable, clean and convenient. The staff were very helpful and friendly. The café on the ground floor has nice food at an affordable price, and opens early. Overall I would definitely recommend to others.